As skincare is a vital aspect of health, we are pleased to offer the latest technology in physician-grade luxury Medical Microdermabrasion at the ADVANCED FACIAL PLASTIC SURGERY CENTER. Performed by our highly trained and licensed Medi.SPA aestheticians under the supervision of our Facial Plastic Surgeon, Microdermabrasion treatments utilize the highest medical grade micro-crystals, which are propelled across the skin’s surface to stimulate, exfoliate and ultimately rejuvenate your skin. This no downtime procedure improves dull or uneven skin color, relieves clogged pores/blackheads, refines the appearance of fine lines and large pores, and softens roughness or thickened patches of skin. Microdermabrasion stimulates blood flow to the skin to reflect a more youthful appearance and immediately radiant results. 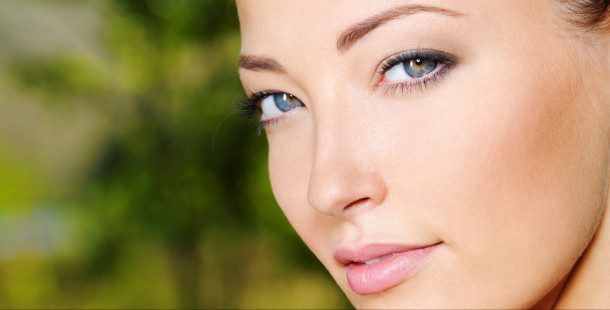 The effects are visible on any skin type and color with evident improvements in both skin texture and appearance which continues with subsequent treatments. Typically, series of Microdermabrasions are recommended for maximum results. Our patients report that after Microdermabrasion therapy, their skin appears fresh and that their make-up glides on smoothly. While most often performed on the face, it is also effective on the neck, back and decollate to help reduce the effects of acne and sun damage. We customize our treatments to your skin type and can combine Microdermabrasion with a light chemical peel to increase the rejuvenating effects. Our luxury medical treatments include cleansing and extractions in our serene, yet clinical, Medi.SPA environment. At ADVANCED, your facial health is our passion and priority. We look forward to seeing you in our elegant Medical Spa for your Medical Microdermabrasion treatments. Please call 972-774-1777 to make your appointment today.